Custom Training Simulations are the perfect way to immerse your learners and teach skilled procedures that can be dangerous or costly to perform. Learners can practice in a safe environment without the fear of their mistakes causing substantial consequences. With a 3D or 2D Training Simulation, you can emulate the exact scenario or situation your learners would experience in the real world and prepare them for success on the job. Contact us today to obtain a free quote for your custom Training Simulation. Simulations help your employees complete tasks safely and correctly. For centuries, educators have proclaimed “learning by doing” is the most effective way to gain knowledge. Technology now makes it feasible to simulate true-to-life environments that are safe, non-threatening, and affordable. Industries with high physical risks use Training Simulations to facilitate realistic training free from harm. For instance, we developed a module for technicians who maintain natural gas regulators. The technicians practice maneuvers that, if performed erroneously in the real world, could cause severe fires or explosions. New-hire training can also capitalize on Training Simulations that allow learners to demonstrate abilities in controlled situations. Designing Digitally, Inc. created a simulation for fast food employees to make sandwiches on the restaurant’s menu. Learners gain experience crafting sandwiches without wasting ingredients or potentially dissatisfying customers. Simulated environments are also great ways to minimize expenses. We created a Training Simulation for college students to work in a science lab. The virtual lab facilitates hands-on learning without expensive equipment and materials for each student. Our team of instructional designers have been creating simulated learning experiences for decades. These simulated learning experiences range from a complete 2D simulated software experience up to a 3D immersive experience. Each of our instructional designers approach simulations with a learner-centered perspective. First and foremost a detailed Determine phase will take place where the information which needs to be taught to the learners will be molded and created around the methodology of “learn by doing”. The instructional design team will work to ensure that the processes presented to the learners are effective, immersive, and allow for consequences to happen within the simulation, and not on the job. Not only can we make your training system engaging, but we can also develop random outcomes and a choose your own adventure experience for each learner. By using simulations for specific scenarios depending on the steps taken by the user, the training can allow for an immersive and unique learning experience each and every time you train the same employees. Random outcome simulations add more breadth and depth to your business training programs, and they help prepare new employees for multiple possible outcomes that could arise unexpectedly in real life. Prepare your new employees for all possibilities with training simulations for business practiced in the safety of your facilities. 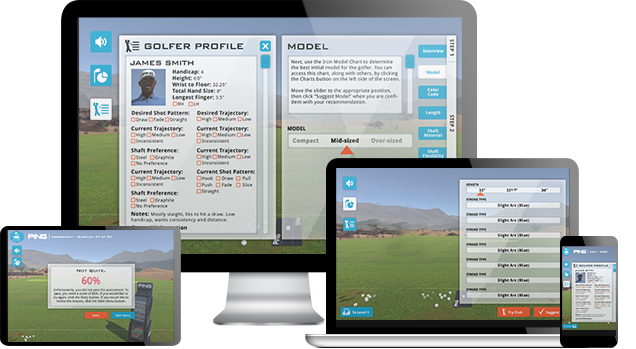 Contact us for our innovative training team to develop your custom training sim today! Let Designing Digitally, Inc. create a custom training simulation for your organization's needs. With over a decade of experience developing custom training simulations, we have the skills and the tools to ensure your employees are properly trained using the latest technologies and best practices within a training simulation environment. Each simulation can be imported into your Learning Management System to track your employees’ progression.Contact us today for more information about our Serious Game development services. In many industries, training is pivotal in ensuring a safe and effective workplace. With the use of a Designing Digitally custom Training Simulation, you can offer your learners an in-depth knowledge and immersive experience that can prepare learners for real life situations. With our Training Simulation expertise, our team will work with you and your organization to create a custom Training Simulation that will give your employees the confidence they need to perform their tasks without real life risk. Each Training Simulation is able to be imported into your Learning Management System, or can be stand alone depending, on your technology restrictions and learner access needs. Take the first step in making your training the best and safest it can be by contacting us! Client Testimonial - By Geoff Barrow, Ceo, Gillespie Associates Ltd. Client Testimonial - By Amy Geoff, Director Of Training & Talent Development, Checkers Drive–in Restaurants, Inc. Fantastic design and a world-class implementation.